Kimberlee Tellez and Mia Yamamoto were married in 2015. PACOIMA — “Living and Loving Out Loud: Our LGBT Stories” will be presented on Sunday, Aug. 28, at 2 p.m. at the San Fernando Valley Japanese American Community Center,12953 Branford St. in Pacoima. • Mia Yamamoto and Kimberlee Tellez, who were married on Sept. 2, 2015. 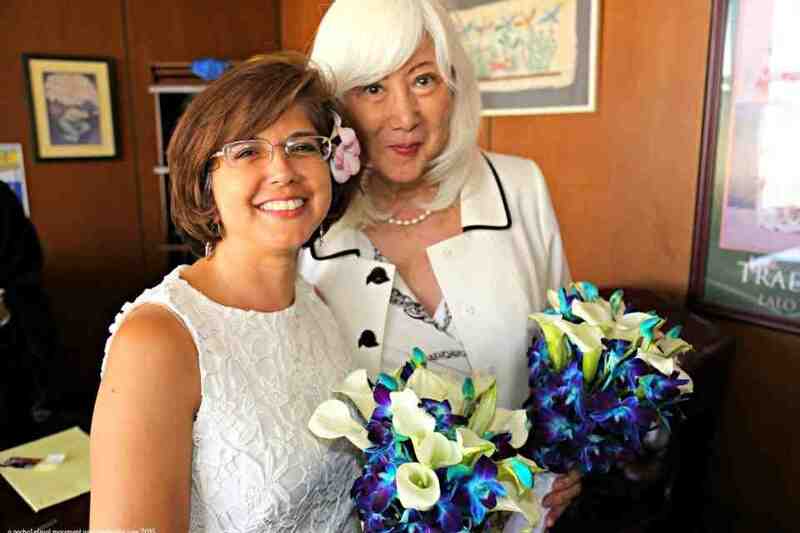 Yamamoto was the first openly transgender attorney in Los Angeles County and is the recipient of numerous awards in the legal and humanitarian fields. Tellez is lead designer and CEO of Pele Design Studios. • Jason Takagi, a member of San Luis Obispo United Methodist Church. He came out to his church while a lay leader to personalize the need to be reaffirming of LGBT people. Takagi is the convener of the California-Pacific Reconciling Ministries Network and provisional chair of the California-Pacific Annual Conference LGBT Task Force. • Marsha Aizumi (facilitator), an author, national speaker and educational consultant. She serves on the PFLAG (Parents and Friends of Lesbians and Gays) National Board of Directors and is co-founder and president of the PFLAG San Gabriel Valley Asian Pacific Islander, the first and only API of PFLAG. Aizumi and her transgender son Aiden had the honor of meeting President Obama at the White House in 2012. A member of the San Fernando Valley JACL, she received the National JACL’s Japanese American of the Biennium award in 2014. This free panel, sponsored by the SFV JACL, is presented in part to inform the community of Okaeri 2016: A Nikkei LGBTQ Gathering, which will be held on Oct. 14 and 15 at the Japanese American National Museum. An earlier version of this story gave an incorrect address for SFVJACC. Our apologies.